The CRUK Cambridge Centre with its combination of scientific excellence and state-of-the-art imaging facilities is developing novel technologies to look inside cancer cells. Imaging plays an increasingly important role in our translational priorities of drug development, through ‘first-in-man’ experimental medicine studies, with parallel studies in pre-clinical models, and in early detection. The aim of advancing imaging technologies and applications draws on Cambridge’s strengths in chemistry, physics, applied mathematics and engineering, and is an important component of our clinical research programmes across a wide range of cancer types. A diverse range of imaging technologies are being developed, covering both new and existing imaging modalities, in pre-clinical and clinical research. Recent investments over the last five years have placed Cambridge in a leading position in the development of new cancer imaging techniques. A major emphasis of the Cancer Imaging Theme is to translate new technology from the laboratory into the clinic, with the ultimate goals of improving patient outcomes, advancing personalised medicine and increasing the cost effectiveness of healthcare. Some areas of expertise are described below. This is a new technique that increases the sensitivity of MRI by >10,000 times and which has allowed unprecedented studies of tissue metabolism in vivo. The method, termed hyperpolarised carbon-13 MRI, has been developed in collaboration with a commercial partner. The technique detects cellular metabolites involved in producing the energy and constituents that a cell needs to survive. We have shown that this allows the response of a tumour to a drug to be detected very early during treatment, which is important for evaluating the efficacy of new drugs in early stage clinical trials, and to find out, as quickly as possible, if individual patients are receiving the most effective combination and dose of drugs to treat their cancer. Cambridge is widely acknowledged as one of the world leaders in the clinical application of this revolutionary imaging technology to cancer. The first study in Europe using this technique in patients has recently commenced in Cambridge. Cambridge also has great expertise in other areas of MRI including: contrast-enhanced MRI to assess tumour vascularity, diffusion-weighted imaging to assess tumour cellularity, sodium MRI to probe tissue structure as well as real-time MRI to study moving tissue. Many different approaches for probing tumour hypoxia with MRI are being studied in both pre-clinical and clinical projects. Several groups are exploring how mathematical and statistical approaches can be applied to the analysis of images to provide information on tumour biology that is not apparent on visual inspection. 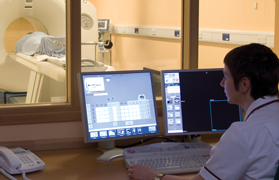 Areas of particular expertise in MRI include breast, prostate, liver and brain tumours. Collaborations between physicists, engineers, and clinicians are leading to more sensitive methods for visualising tumours and their surrounding structures. Physical changes that occur when a tumour forms, such as tissue stiffness, can be monitored using ultrasound. These features can be exploited to monitor the local tumour microenvironment. Many of these investigators are part of the Bioengineering theme in the Department of Engineering. Cambridge opened the first PET/CT scanning department in the East of England in 2008. 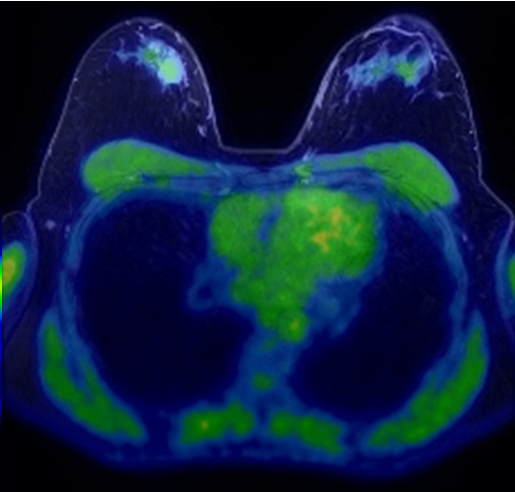 PET/CT technology uses two different imaging techniques – Positron Emission Tomography and Computed Tomography – and combines the results to produce detailed three-dimensional images of what is happening inside a patient's body. The combination allows both the structure and function of diseased areas to be studied. Scientists and clinicians across Cambridge are developing the applications of existing PET tracers, as well as more novel agents, to detect cancer, to characterise it more accurately and determine if patients are responding to treatment. Patient studies using a new PET/MRI machine, which combines the advantages of both imaging modalities, allowing multi-parametric measurements to be made simultaneously, commenced in spring 2016. Photoacoustic tomography (PAT) is a powerful diagnostic tool with significant potential for clinical translation. The photoacoustic effect arises when absorption of pulsed laser light in tissue gives rise to a pressure increase, producing broadband ultrasound waves that travel throughout the tissue. Ultrasound detection at the tissue surface produces images that combine the high contrast of optical imaging with the high spatial resolution and penetration depths of ultrasound imaging. PAT is being used on breast cancer patients to assess tumour hypoxia, which is important to detect as tumour cells deprived of oxygen can become resistant to radiotherapy and chemotherapy. 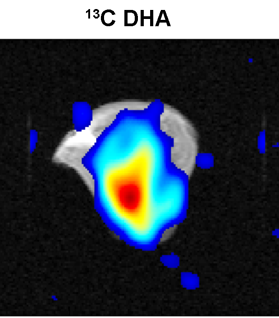 PAT is also being used to develop novel targeted imaging agents, which can be tested in preclinical studies. We are using fluorescently-tagged molecules to detect changes in the progression to oesophageal cancer using fluorescence endoscopy. These molecules bind only to healthy tissue, so we expect to see dark regions where early cancer (dysplasia) is developing. We have developed a custom endoscope to image these fluorescently-tagged molecules. Early results using our endoscope with human tissue specimens show promising results. This novel approach has the potential to be extended to other pre-cancerous lesions in the gastrointestinal tract. We are currently working on translating this approach to clinical trials.